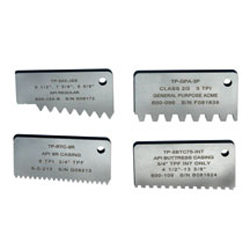 Thread Check Inc. offers a wide range of standard and special Gagemaker Metric M Thread Series Internal Profile Template Gages. Inspecting the thread form is a critical part of thread inspection. 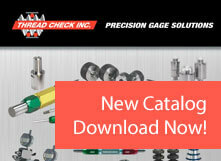 Gagemaker precision thread profile templates quickly and easily check thread form for alignment errors. 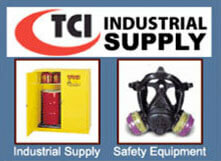 Profile gages can check for stretched threads, wide first threads or rolled over threads. If a threading insert is aligned with the part incorrectly, the profile template will pick it up quickly. The profile template will also detect chipped or worn inserts by displaying light in the area of non‐conformity. Thread profile templates are important tools that are both economical and easy to use. Thread profile gages are manufactured to tolerances of +/‐ .0002" using EDM cutting technology.